iOS 12 is probably not going to deliver a big overhaul, but there's still plenty of room for impactful improvements. The latest rumors about iOS 12 point to a somewhat muted feature set. Apple is restructuring its release cadence to focus on quality and performance, and that means we’re not going to see some of the feature we really want. A whole new home screen design and brand new Carplay interface are on the chopping block, for example. That doesn’t mean that iOS 12 is simply going to be “iOS 11, but it works.” There’s plenty of room for substantive and impactful changes to iOS, even while kicking off some of the major changes to 2019. Here are the things we would most like to see in iOS 12, knowing what we think we do about what’s no longer on the table. This isn’t a small change, but it’s also not necessarily off the table for iOS 12. In all the rumors of what is or is not going to be in the next major iOS release, Siri is notably absent. Nobody says to expect big things from Siri, nobody says don’t expect big things...nobody says anything. But Siri needs serious help. Google and Amazon's assistants have blown way past Siri in their ability to give relevant answers, understand context, correctly interpret your voices, and work together with lots of other services and gadgets. 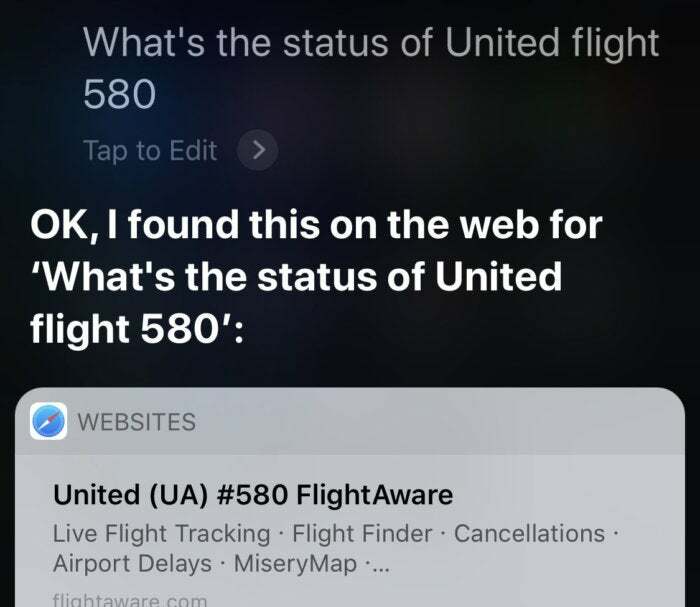 Siri needs to give more direct answers to common questions, instead of defaulting to web searches. Siri needs better voice recognition, faster response times, and more “fun” activities like trivia and games. It needs to give more accurate answers to a much broader set of questions. Most of all, SiriKit needs a major expansion into new Domains like music and shopping. 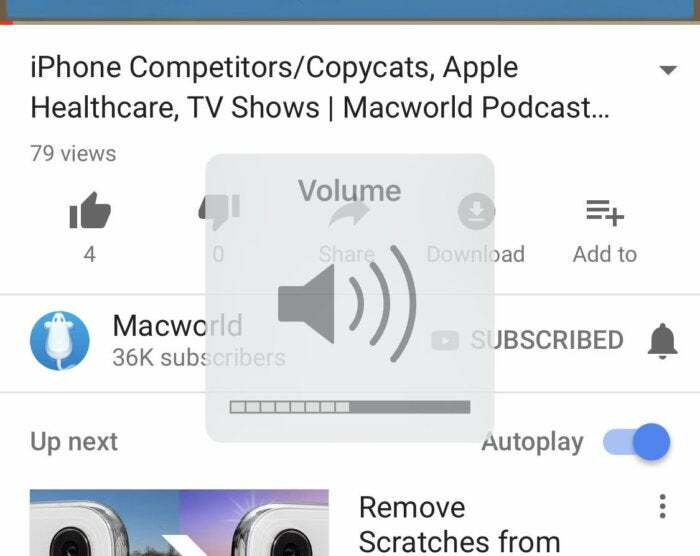 Every time you adjust the volume on your iPhone or iPad, a big popup covers the middle of your display. This should have been gone years ago. A number of alternatives have been suggested, from a small indicator in the status bar (on the side of the notch in the iPhone X) to a slim interactive volume slider quickly appearing and then disappearing at the top edge of the display. Really, anything is better than covering up a huge portion of the middle of the screen every time we adjust the volume. If the rumors are true, a major overhaul to the Camera app is one of the features originally slated for iOS 12 that has been kicked back to give the developers more time. But there’s still room for a few tweaks. I’d like to see the ability to change video formats within the app, instead of digging through the Settings app. You wouldn’t even have to change much—the video format is already displayed, just make it tappable. It can work just like the flash settings interface. Let us adjust video formats without leaving the Camera app. 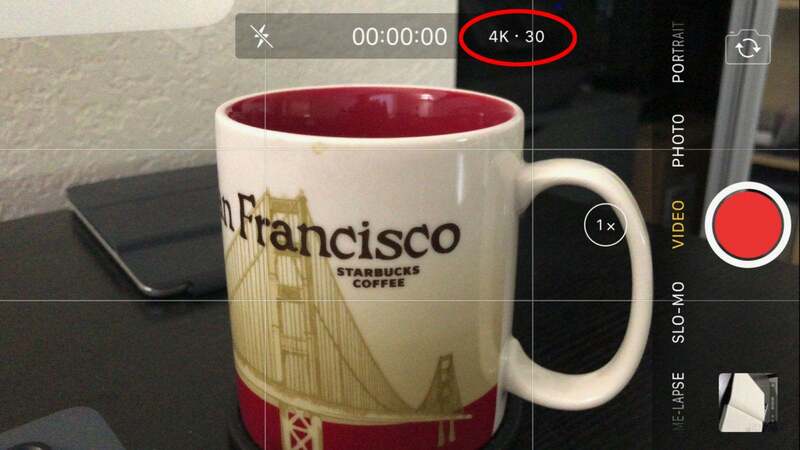 The same function should be available in the Slo-Mo and Time Lapse tabs, too. We still long to see a “Pro” tab that adds more on-screen controls (ISO, shutter speed, exposure, white balance) and a histogram. But that’s probably beyond the scope of the minor Camera app improvements we could expect in iOS 12. Apple fans have been asking for an OS-wide Dark Mode for ages. It would be great for using your phone late at night. And now that Apple has the iPhone X with its OLED display, improved battery life is another good reason (OLEDs use significantly less energy if a large portion of the screen is black or near-black). Apple should provide a Dark Mode API to app developers and add customizable triggers to the Settings menu for enabling the setting (a scheduled time of day, automatic based on sundown time, automatic based on ambient light, or manual). Then each app developer could decide how their app should present itself when Dark Mode is in effect. One of the iOS 12 features bumped back to next year, if the rumors are true, is a home screen redesign. That’s a shame, because we’ve been treading water on that front, more or less, since iOS 7. But Apple can take one baby step I think a lot of us would appreciate without overhauling the whole look at feel of iOS: Let us put home screen icons and folders wherever we want. Right now, you’ve got your dock, and then everything else is auto-organized into rows on the home screen starting at the the upper-left corner. You can reorder your icons and folders, but you cannot rearrange them. If I want to put an oft-used icon (like the App Store) in the lower left, where it’s easiest to access with my thumb, I simply can’t do it. Not without filling up the entire screen with icons. So in iOS 12, keep the current grid, keep the icons and folders, just let us put each of them into whichever grid position we like. Other, more substantial changes to the home screen (like an app drawer or dynamic icons) will probably have to wait for iOS 13. Now that Apple has an iPhone with an OLED display, it makes sense to give it an always-on display. OLEDs only use energy for the pixels that are lit up, so lighting up a small percentage of the screen only uses a sliver of battery. Eventually, we would love to see a customizable, developer-accessible always-on display for OLED-enabled iPhones (iPhone X and its successors). It could include various clock design choices and a selection of widgets made with a new API for app developers. Those may be similar to the left-of-home-screen widgets in iOS today, but simplified for the reduced colors and black background emphasis necessary to preserve battery life. Android phones have had always-on displays for years. It’s time for Apple to follow suit. But that’s a big undertaking. For iOS 12, we would be happy with a “phase one” always-on display. Just show us the clock, and upcoming calendar appointment or reminder, and maybe a simplified representation of the most recent notifications. The big API for developers and customization stuff can come in phase two the following year. Notifications on iOS are sort of a mess. You either have to turn them off on most of your apps, or you’re left with a deluge that overwhelms you and makes it hard to know which things are important and require action. Designer Sandor Gyruis wrote a Medium post where he imagines how notification grouping could work on iOS without upending the entire current design. 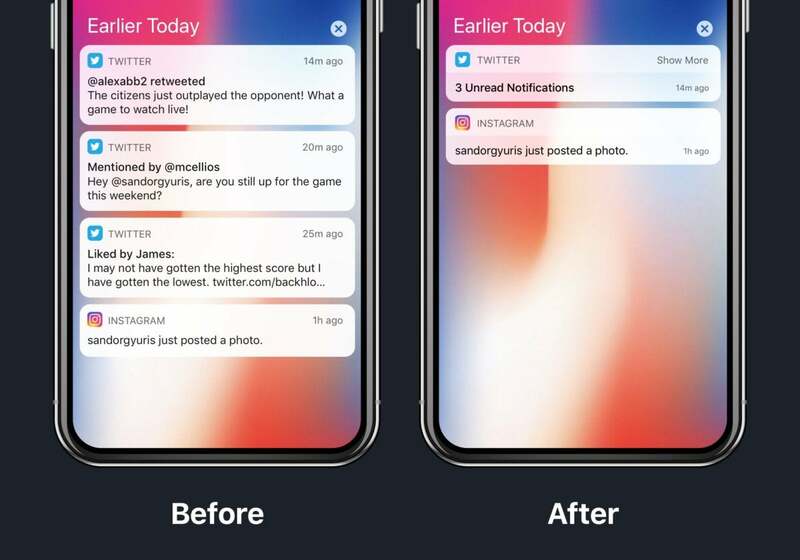 It’s an excellent bit of work that considers the real consequences and complications with implementing grouped notifications, but it doesn’t fully change the current look and feel. In other words, it’s eminently doable without completely overhauling the whole iOS notifications system. Sandor Gyruis has imagined a very achievable and cohesive grouped notifications scheme. I would add one other small, easy-to-implement feature to his suggestions. In the notifications settings for each app, add a toggle to ignore Do Not Disturb. Right now, DND can let through calls from your favorite contacts or repeated calls. That’s good, but in today’s world, critical alerts can come from all sorts of apps and services. How great would it be to split the screen into quadrants and have video chat with three other people at once? It is often claimed that a patent troll is preventing Apple from implementing this, but its hard to imagine that the most valuable technology company in the world can't find a way around that. When it introduced the iPhone 7 Plus, Apple popularized the faux-bokeh effect that is now so common on premium phones. Portrait Mode has gotten better over time, but has been surpassed. Google just crushes it with the Pixel 2. 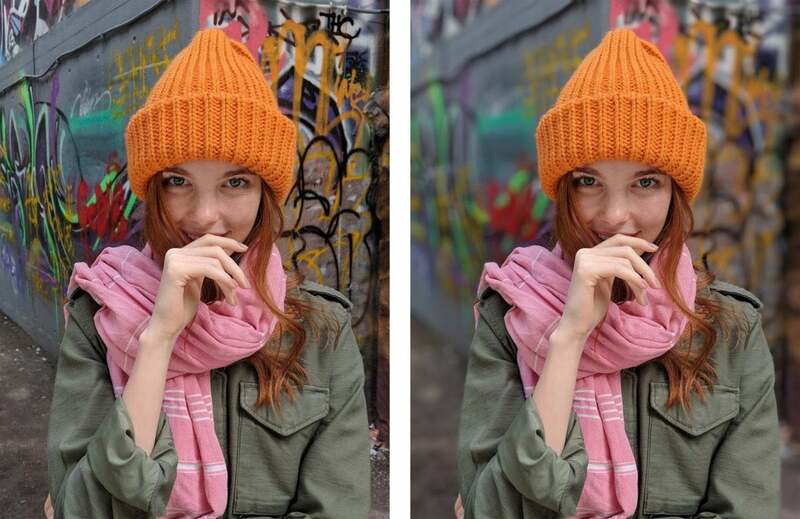 Google achieves more accurate depth-of-field effects with better edges (especially on hair, fur, and fuzzy clothes), and they do it on both the front and back cameras, even though they’ve only got one lens to work with. Google’s portrait mode is amazing, and it works with a single lens, including the front-facing camera. If Google can do it, so can Apple (at least with the latest A11-equipped phones). Let’s see Apple leapfrog Google with their portrait algorithm, and enable it the iPhone 8’s rear camera and the front cameras on the iPhone 8 and 8 Plus. Better portrait mode shouldn’t be something you need to buy a new iPhone for. Apple needs to steal some of the Smart Lock ideas from Android. 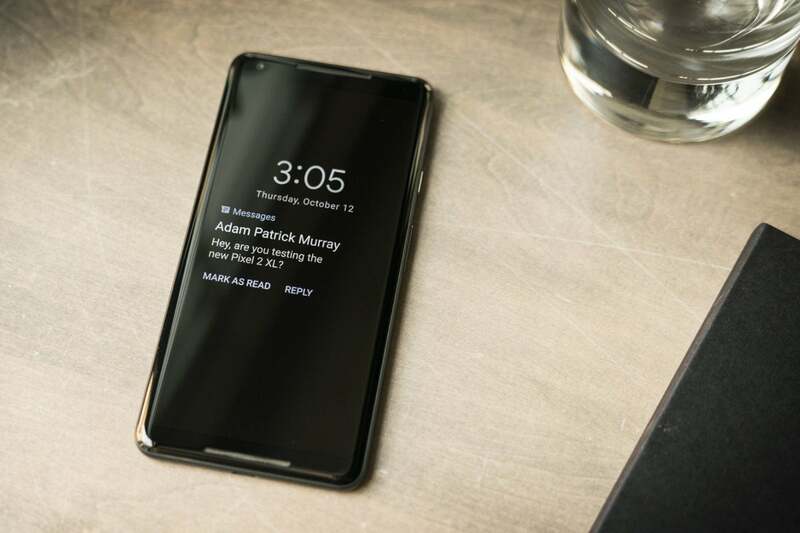 Smart Lock lets you keep your Android phone unlocked when it is at a certain location or connected to a particular Bluetooth device (like your car). Some phones can even detect when they are “on body” (in your hand, in a pocket, or in a bag) and stay unlocked. Apple is hypersensitive about security, so it may not want to implement all of those features in the same way, even though they have proven themselves in many millions of Android phones. But how about: Don’t lock my phone when it’s in close to my Apple Watch? If my watch can unlock my Mac, it can keep my phone unlocked, right? A combination of geofencing and Wi-Fi detection could keep my phone unlocked while at home or work. Maybe our phones could keep themselves unlocked when synced with our cars, if it’s the one attached to the CarPlay system. I wouldn’t expect our iPhones and iPads to automatically unlock in all of these situations. But once unlocked in the usual way, I would like them to optionally stay unlocked, at least for a few hours at a time. Once locked (because you left home/work, left your car, moved your watch too far away, or just haven’t used your phone for a few hours), you would need to use your PIN, fingerprint, or Face ID as usual. You know what’s great about Google’s Pixel phones? Every single photo and video they take is stored, at full quality, in Google Photos. It’s free, it’s unlimited, and it doesn’t count against your Google cloud storage limits. I would be delighted for Apple to offer the same thing, though I don’t think it’s very likely. How about this as a compromise: If you pay for extra iCloud storage beyond the paltry 5GB Apple gives you for free, then photos and videos taken with iPhones and iPads would not count against your storage limit. Think of how many hundreds of millions of users would happily shell out $0.99 a month for 50GB of iCloud storage if they knew it would mean unlimited photo and video storage (at least for those taken by iOS devices), and they could use all 50GB for device backups and documents. That feels like a win-win. 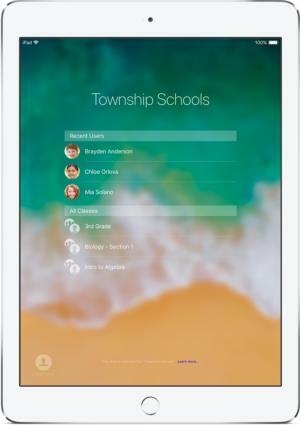 Apple’s education tools already allow for multiple iPad users. Apple keeps telling us that iPads can replace our computers, but as long as they are relentlessly single-user devices, that’s not going to happen. I don’t realistically expect multi-user support in iPhones, but it’s a natural fit for iPads, which are so often shared by entire families. Apple needs real multi-user support, with a lock screen that shows multiple users (and automatic user switching with Touch ID or Face ID), custom home screen layouts and widgets, the works. This isn’t as much work at it seems like. Apple’s educational tools already allow for multiple user accounts on iPads. It needs some adjustment and expansion for the consumer market, but it seems like the heavy lifting is already done. On iPads, this should go hand in hand with multi-user support. Let parents set up a child account and optionally restrict app access, require approvals for purchases, set schedules for when the device can and cannot be used, and set total screen time limits. But even iPhones, though they may still be single-person devices, should be able to be configured with “child accounts” that require parents to enter a passcode to access certain apps, make purchases, or even visit blacklisted websites. While we’re at it, this would be the perfect opportunity to give parents tools to rein in excessive mobile data usage. We should hardly be surprised to find Animoji are already being copied by Apple’s competitors. iOS 11.3 brings four new Animoji, and it’s rumored that you’ll be able to use Animoji in FaceTime calls, but we want more. Animoji are being copied, which is why Apple should open them up to developers. We want Apple to one-up its competitors with an Animoji spec that lets app developers create their own Animoji and register them with the system. 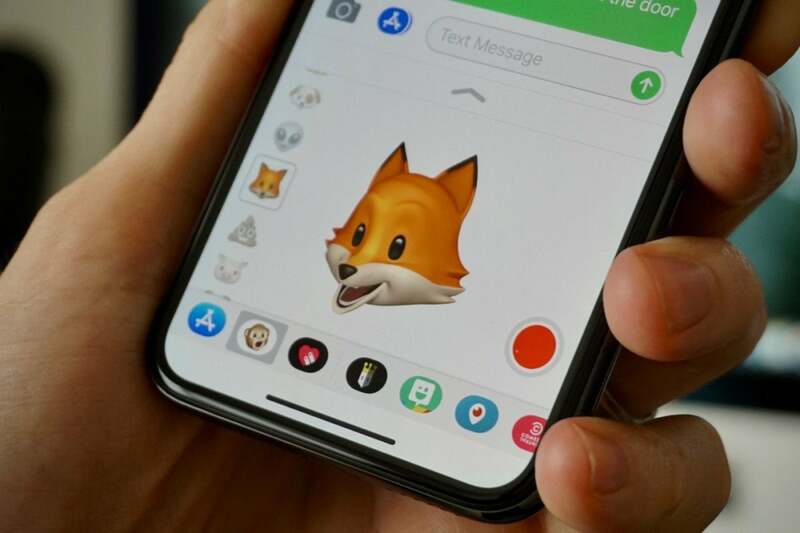 Essentially, Apple should do with Animoji what it did with Stickers. The creativity and sheer scale of the iOS development community would make Animoji on iPhone into something that no Android competitor could touch. And let developers call on an Animoji API to incorporate them into their own apps, too. Animoji should be made to work on all modern iPhones and iPads, not just the iPhone X. If Apple can make ARKit work on an iPhone 6s, they can probably make Animoji work well enough on every iPhone and iPad released in the last couple years. The interface for Apple’s time-keeping tools needs some work. It's simplistic to a fault and annoyingly inconsistent. I mean, what is up with this? Why is the Stop button in the opposite location for Timers and Alarms? 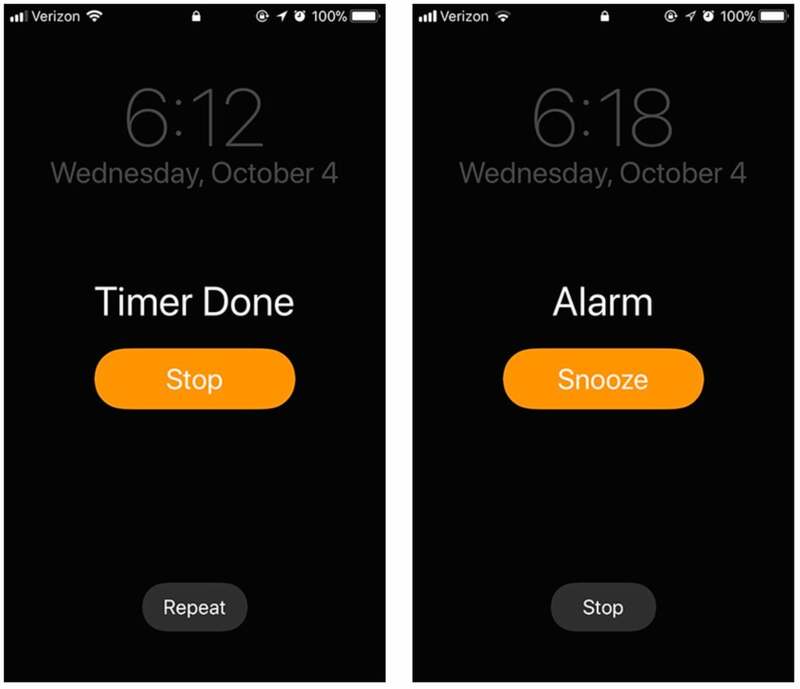 Except on Apple Watch, which will alert you to timers and alarms if you set them on the linked iPhone. But even then, you can’t see those alarms or timers in the watch’s clock app, only the ones you set on your watch. You can ask Siri how much time is left on a timer, but not how much time until an alarm or reminder triggers. We need to be able to set multiple timers and give them names (with their names announced out loud when they go off), which you can’t do anywhere. Apple needs to get its house in order here. Many of Apple’s default applications could use significant updates, and the rumors around iOS 12 say we unfortunately shouldn’t expect them to come this year. But Apple Music is sort of its own thing, and Apple has major ambitions around the service that may not be realized if they don’t make some real improvements. We have so many ideas for how to improve Apple Music, most of them quite simple, that we wrote a whole article about them. If some of these don’t happen with the introduction of iOS 12, it’s going to be hard not to give up on the service and just head back to Spotify.